Meadowfoam Seeds, when extracted, produce Meadowfoam Oil, which is known as one of the most stable vegetable oils. This is because Meadowfoam Oil can withstand refrigeration or other elements, it also has a longer shelf life than other types of oils, thus making it a great choice for a stable oil. The Meadowfoam Seed, when expressed, produces Meadowfoam Oil, known as one of the most stable vegetable oils because of its chemical properties. It is only when the oil is extracted from the seed that it can be used as an ingredient in making cosmetic products. This is because Meadowfoam Oil can withstand refrigeration or other elements, and it has a longer shelf life than other types of oils, thus making it quite stable. Tocopherol – This compound is the primary component of Vitamin E which is known to keep the skin from aging. It is also known to protect the different organs of the body or slow down its degeneration as it is also known to be an antioxidant. Eicosenoic Acid – This acid, along with other fatty acids, is known for its many properties. It is non-comedogenic (does not block the skin’s pores), it can be readily absorbed by the skin, and it balances the oil in the skin, making it less oily. This component is also present in Jojoba Oil and hence produces a similar effect. When used in conjunction with a sun protection lotion, it is known to protect the skin from ultraviolet rays which can cause skin diseases especially in the case of prolonged exposure. As it is readily absorbed by the skin, it doesn’t have a greasy feeling when applied onto the skin. It moisturizes skin as well as protects it from being dehydrated. This is because, unlike water, Meadowfoam Seed Oil does not evaporate when exposed to the elements. This quality makes it perfect as an ingredient for products aimed at preventing acne. It also makes it easier for your skin to “breathe” by removing the blockages in the pores. 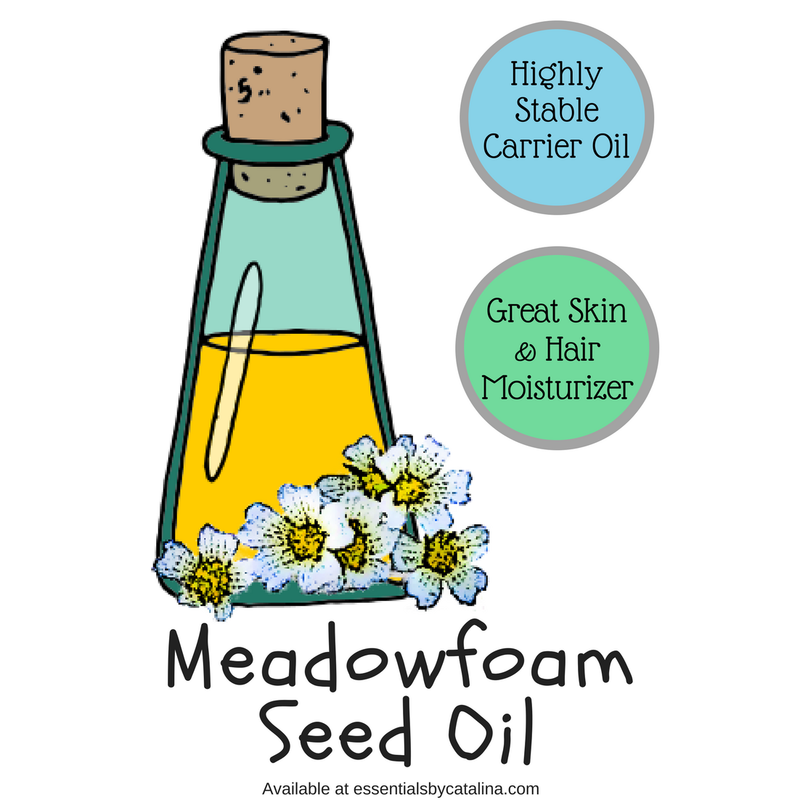 Oil from Meadowfoam Seed Oil is mild; hence, it produces the same benefit even if you have sensitive skin. Because of its stability, it can be used as an additive to some beauty products whose ingredients are less stable and thus extend the shelf life of the products and their other ingredients. This quality is never diminished, regardless of the condition (i.e. whether the product or the oil is exposed to heat and air and even if it’s put in the refrigerator). It acts as a binding agent to the product, making its scent last longer compared to those without it. It is used as an alternative to Sperm Whale Oil or Jojoba Oil. The cultivation of Meadowfoam has very little need for fertilizers and pesticides, thus making it an eco-friendly crop. 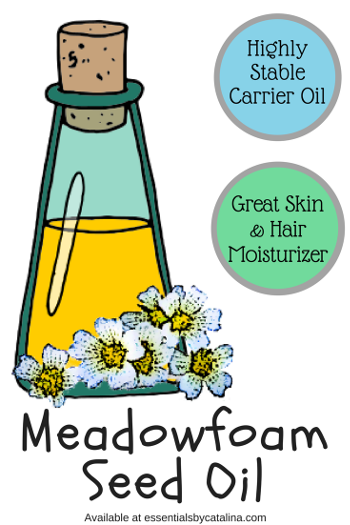 The best part of using products that contain Meadowfoam Seed Oil is that no known side effects can be attributed to it. Therefore, you can be sure that its use is beneficial and safe to the user. Anti-aging Cream – Almost all components of Meadowfoam Seed Oil allow it to be used in anti-aging creams. The amounts of tocopherol and antioxidants that it contains are helpful in reducing the damage that the skin experiences due to exposure to the elements. It also hydrates the skin and makes sure that water doesn’t easily come out of the skin (since more moisture contributes to a more glowing and elastic skin). This, in turn, reduces the occurrence of lines, scars, and rough areas on the skin, most especially on the face. Body Scrub – The body scrub is known for the purpose of exfoliating your skin, but aside from this effect, body scrubs that contain Meadowfoam Seed Extracts and Oil are found to have the ability to repair and hydrate your skin. Hair Conditioner and Mascara – Shampoos and conditioners with Meadowfoam Oil are known to hydrate the hair and scalp as well as make it fuller and shinier. It also reduces the occurrence of scalp dryness and dandruff primarily because it helps retain the moisture in that area. It can also prevent hair loss and reduce brittleness. With these benefits to your hair, it may even produce the same effect on your eyelashes. Lip Plumper – Having good-looking lips is dependent on the moisture that they contain as well as on having balanced oil content. A lip plumper with Meadowfoam Oil ensures that the water and oil in this area are balanced, making the lips look smoother and fuller. Massage Oil – Meadowfoam oil can also be used in its raw form as a massage oil. This is because it can easily be spread throughout the body (A single drop of meadowfoam oil can be used to massage a large area of the body. ), it is a very good lubricant, and it is easily absorbed by the skin, thus contributing to a less greasy feeling after the massage. Moisturizer – Meadowfoam contains Vitamin E and tocopherol, both of which are known to prevent skin dehydration and make skin “look” younger. It can also replenish the oil in your skin or control it if there’s an overproduction of sebum. Also, it can prevent or reduce damage from harmful elements because of the antioxidants that it contains.